Pirata Boat game has been created by ‘Pirata London’ and features to use iPhone/iPod Touch as a remote to play the game right on your PC screens. 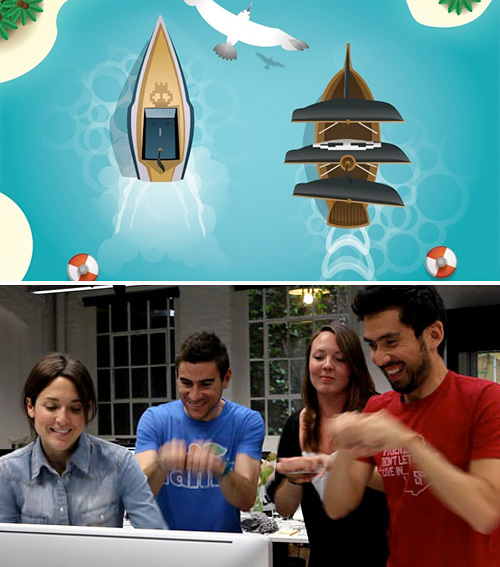 It is a virtual boat race game in which 5 persons can board a single boat and race with other contestants. The iPhone/iPod Touch is to be used to row the oars. That certainly reminds us of a Wiimote.The gaming activity produces a strange gesture of the players unless someone knows they are actually playing a game. The game application can be downloaded for free and then can be synced to iPhone or an iPod Touch. Overall, the new concept is quite impressive and I can imagine that’s the beginning only; in future we hope to see games featuring the use of iPhone/iPod Touch as a remote for gaming on PC.